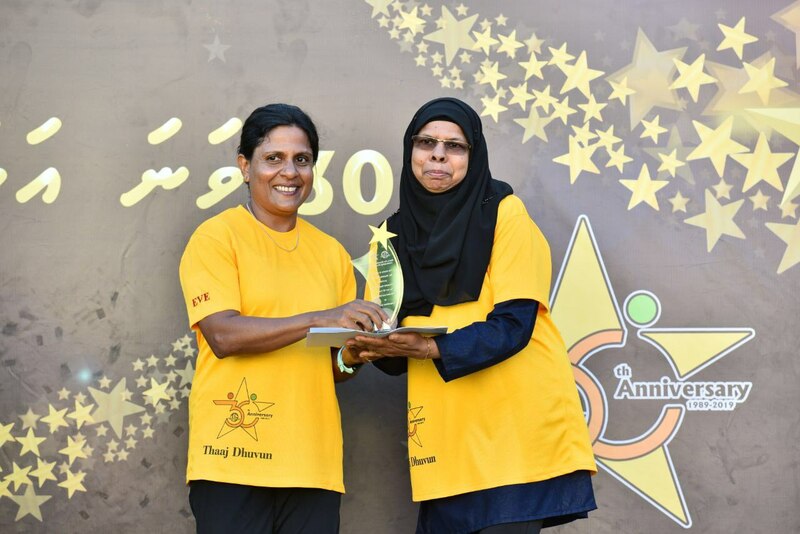 First Lady Fazna Ahmed has attended the Thaaj Anniversary run and Thaaj special function organized by Thaajudheen School held this morning to celebrate their 30th Anniversary. The running event started near Social Centre grounds while the special function was held at Henveiru Stadium. 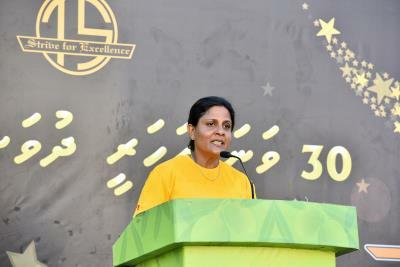 Along with the First Lady, a huge number of alumni students of Thaajudheen School and employees joined the gathering. During this event, First Lady Fazna Ahmed awarded the plaque of appreciation to those employees who served the school for a period between 20-25 years. In this special function, First Lady launched the Anniversary magazine of Thaajudheen School. Moreover, a special quiz was held regarding the school during this event.